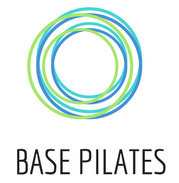 Pilates is well known for it’s “core stability” training benefits, focussing as it does on movements from a stable ‘centre’ of deep abdominal and back muscles. It is also fantastic for developing strength in the gluteals, shoulders, and legs, through a variety of movements performed against your own body weight, in different positions eg. standing, quadruped, side lying. There is also the potential for more resistance, if we add in weights, or therabands. The Pilates matwork repertoire aims to mobilise joints and lengthen muscles, creating a fabulous feeling of suppleness, elasticity and energy. Pilates goes beyond simply stretching and aims to develop controlled mobility and a greater sense of awareness of movement. This can be particularly beneficial for people aiming to avoid overuse injuries or postural-related discomfort; those who live with hypermobility related conditions; and also during peri-natal months when hormonal changes cause increased laxity of joints. Pilates will challenge your balance functionally, through a range of positions and tasks, which can help you develop better dynamic balance in both daily activities and sports. Different types of muscles perform different roles in the production of movement. They have to function effectively as a team to create balanced movement. Sometimes, through work or training or just habitual movement patterns, the team goes awry slightly…! Attention to good alignment in Pilates classes can help to re-educate the ‘team’ – easing tension in one area, while strengthening in another, thus restoring balanced movement. A difficult element to quantify, but nonetheless, all of the benefits above will combine to influence the way you carry yourself day to day. A mobile and strong body and an awareness of how your particular body moves is a powerful thing! Plus, the verbal and visual cues we use in classes will quickly infiltrate your mind, as you find yourself telling your collarbones to smile whist walking down the high street! The concentration required for performing the precise movements in the correct form, is a form of mindful movement. Research is emerging about the effects of mindful practices on the brain, and their role in helping to reduce stress and manage anxiety and depression. My classes typically begin and / or end with a few moments of mindful awareness and possibly a guided relaxation. So, what are you waiting for? Contact me today to enquire about availability in classes or one-to-one tuition.